Making glass by melting recycled glass in the furnace uses far less energy and reduces pollution. To make glass, lots of raw materials are quarried and heated in a furnace. This means areas of countryside are dug up so we can collect the ingredients to make glass. When we melt recycled glass from glass banks in the furnace we do not need these other ingredients. The more glass that we recycle, the less new ingredients we will need, and this means less quarrying in the countryside. Buy refill packs or look for returnable bottles whenever possible. Glass bottles and jars may be recycled in your clear recycling sack, green bin or recycling bank. Just rinse the bottle or jar, do not replace the metal top or lid, and put the bottle/jar and top/lid into the recycling container separately. 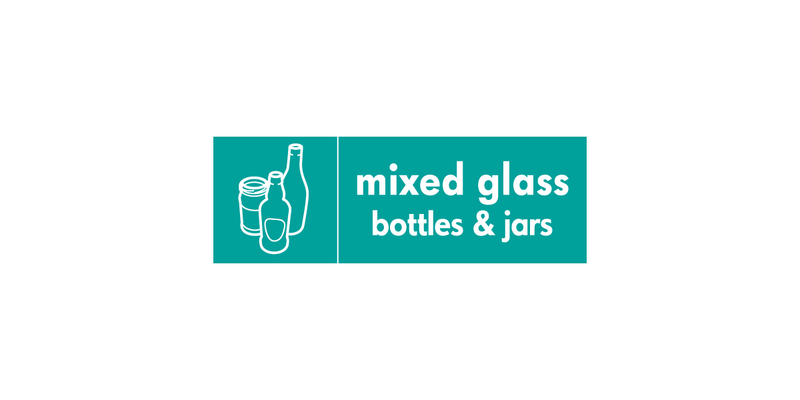 You cannot recycle broken glass, Pyrex, mirrors or window glass.